In Malaysia, salted eggs are rather inexpensive and easily available. 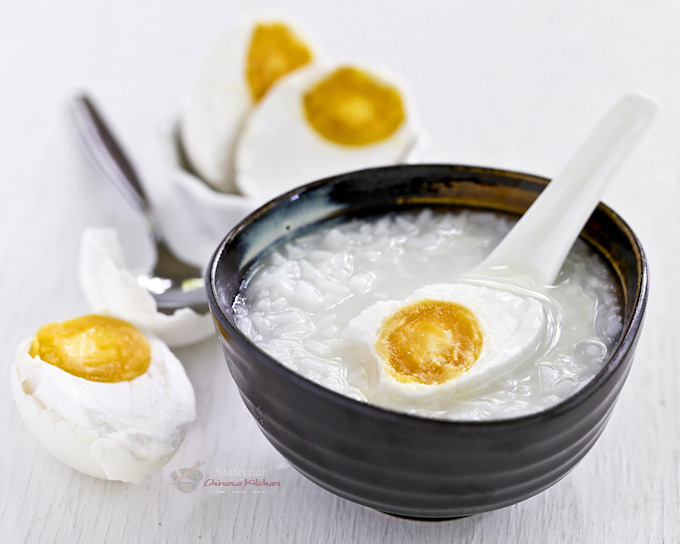 It is considered budget food and is popularly served hard boiled with plain rice porridge or congee. The salty whites and rich yolks are the perfect complement to the bland gruel. When I was a kid, my Grandma used to make a pork and salted eggs porridge which was very tasty. Hopefully I can share the recipe with you soon. Salted Eggs are often used as a flavoring for appetizers, steamed meats, and clear soups like this Chan Choy Tong (Malabar Spinach Soup). I will be sharing a Steamed Pork with Salted Egg recipe next, so please check back soon. The round yellow-orange yolks are also found in traditional bak chang (glutinous rice dumplings) and mooncakes. They provide a counterpoint of taste, texture, color, and are symbolic of the full moon in mooncakes. Commercial salted eggs packed in a layer of salted charcoal paste must be scraped and rinsed off before cooking. Homemade ones in brine should be removed from the salt solution once it has cured and reached the desired level of saltiness. I managed to buy duck eggs this time as my health food store finally brought them in. They are only available in the summer and are not cheap. I paid USD5.00 for 6 eggs. You can always use chicken eggs if you can’t find duck eggs. 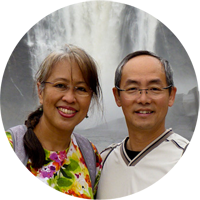 I have made them successfully as seen in this post on Roti n Rice. The yolks were just as beautiful and they took a slightly shorter time to cure, about 3 to 4 weeks. Delightful!! I miss these salted ducks and it is about time I bring out my jar to make them again. The last time I made these was early last year but without the addition of the wine. Love to try it with the wine to see the difference! Now to go hunt for duck eggs in the market….P/S – love your new hair colour, its all the rave I hear these days! I am currently reusing mine (as a trial) for a batch that I made a month ago because the brine still looks clear. Just put in some more eggs yesterday. Please discard and do not use the brine if it is cloudy. UUPDATE: The second batch of salted eggs turned out fine. However, for safety reasons, it is best to DISCARD USED BRINE and start anew. Hi, I am trying to make tge salted eggs. But after 1 week, I notice there is a crack line in one of 10 eggs. What should I do ? Thanks for your earliest reply. 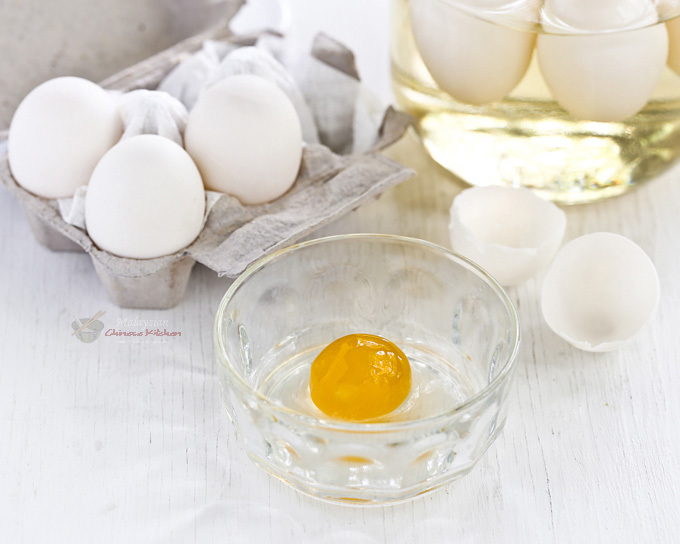 Remove all the eggs from the jar and strain the brine if it is still clear. 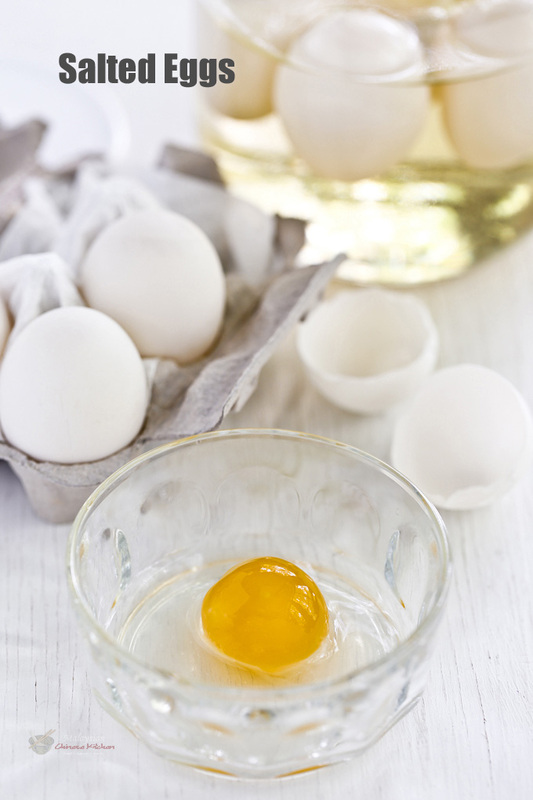 Discard the cracked egg and wash the remaining eggs before putting them back into the jar. If the brine is messy, discard and prepare fresh brine. Wash the good eggs and pickle them in the new brine.Discard cracked egg. Duck eggs produce richer yolks and flavor. I just made a batch of salted duck eggs. The yolk colour is bright orangy-red. However, they do not taste salty. What could be reason for this? Can I still use them for recipes that calls for salted eggs? Did you use less salt than was called for in the recipe? I just made a batch of salted duck eggs. The yolk colour is bright orangy-red. However, they do not taste salty like the store bought ones. What could be reason for this? Can I still use them for recipes that calls for salted eggs? The brine is probably not salty enough. You may be using a different kind of salt. Yes, you can still use them for recipes calling for salted eggs if the yolk is properly cured. Thank you so much for this recipe. This is my first time making it. Am I suppose to use boiled eggs or i boiled eggs? Thanks! Please use raw eggs. The brine will cure the egg. This is a curing and not pickling process. Would it hurt to cut out the wine out of the salted egg recipe or is there other stuff beside alcohol to use in it? You can omit the rice wine. The wine is supposed to give a more brilliant colored yolk. Without the wine, the eggs will still cure but the yolk will have a paler color. However, in my own experience, I think it really depends on the eggs itself. I have noticed that some eggs (probably with more fat) produce more brilliant yolks as seen here with regular hormone free chicken eggs –> Salted Eggs (suing chicken eggs). These duck eggs are organic and the color of the salted egg yolks are not as brilliant. You can also see that it is less oily. I have submerged the eggs totally in brine but still had some left over – is it still ok or should I make sure all the brine is used? Not sure whether it would mean a less salty egg. Please discard the leftover brine. It really depends on the size of your container. If the eggs are totally submerged, it should be okay. Thanks Linda, the eggs turned out perfect! My first batch of Chicken Salted is perfect! Thank you so much for the recipe. 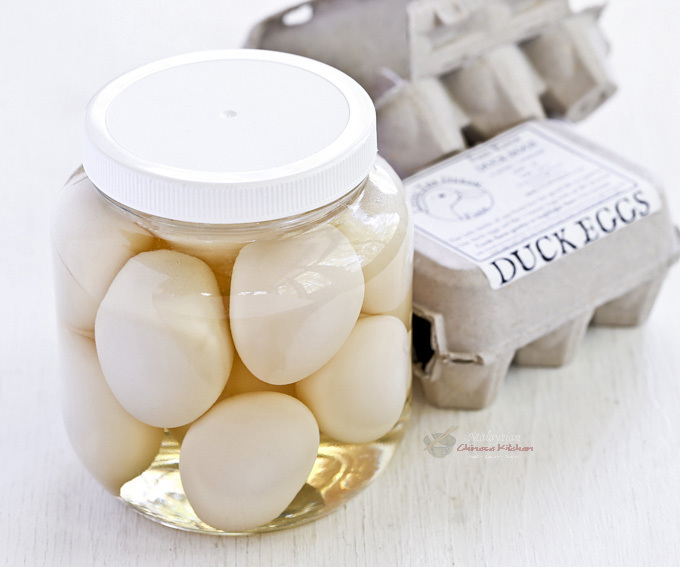 Surprisingly we found duck egg in store, so second batch of duck egg is waiting to due and my husband ask me make another batch already. So glad to hear that. I have not found duck eggs here in Colorado yet. Will probably make a batch soon using chicken eggs. So good to eat with congee in this cold weather.